If you had to associate someone with the birth of Western music as we know it today, those people would have to be the Sons of the Pioneers. 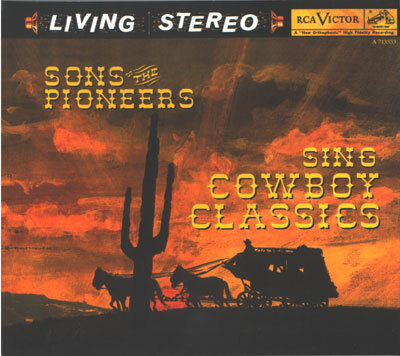 To create this compilation of their best Cowboy Classics, the original stereo recordings were painstakingly remastered to provide the best fidelity ever. The album plays an hour of good ol' Cowboy tunes like you've never heard them before, and with twenty four tracks, you're only paying $0.79 per song. You can't beat that!